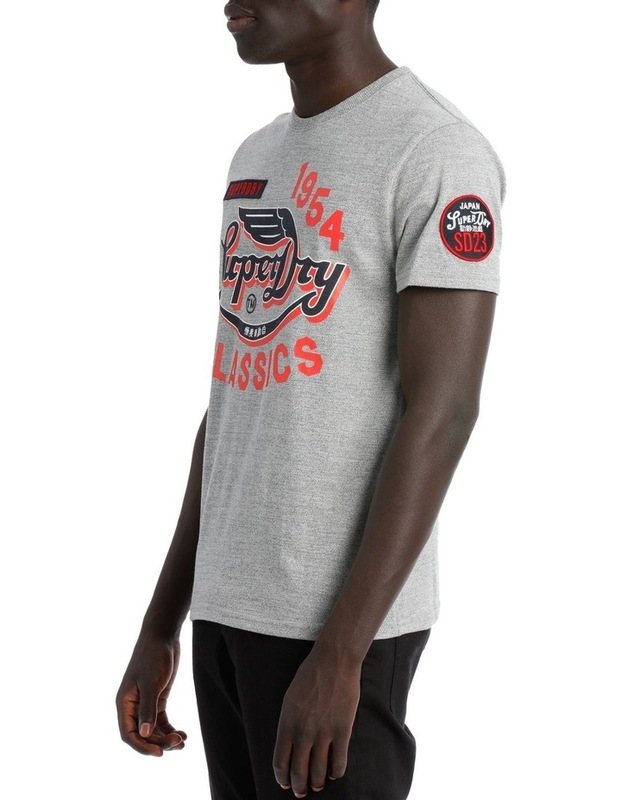 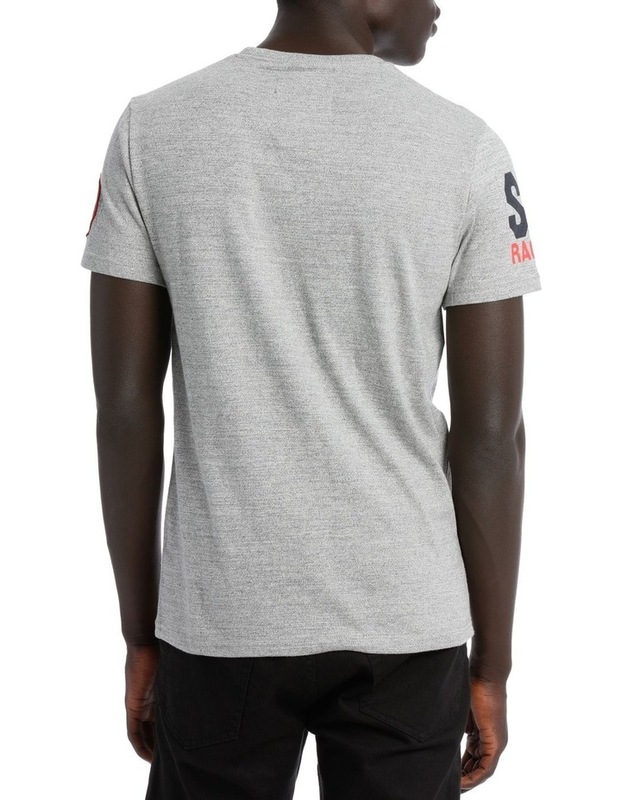 Superdry men's Famous Flyers t-shirt. 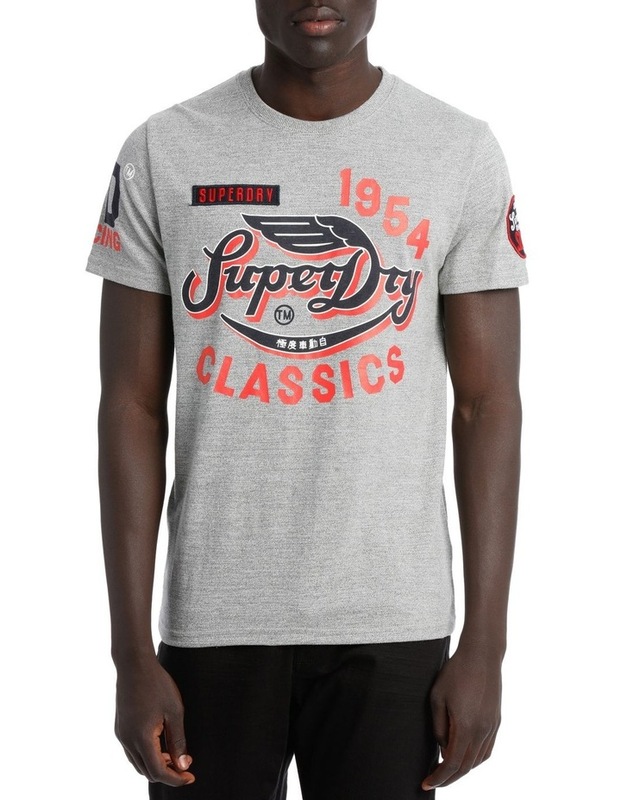 A classic short sleeve crew neck t-shirt featuring a retro-inspired Superdry High Flyers logo across the chest and right sleeve. 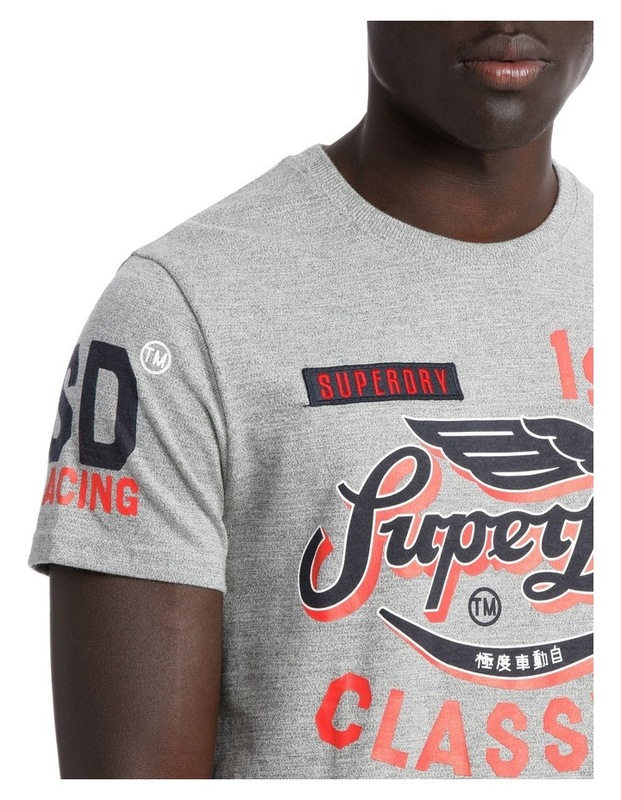 The high flyers t-shirt is finished with two unique Superdry badges.